Consider Historic Hollywood Cemetery when determining where you or your loved one’s final resting place will be. We have property property totaling over 50 acres that is available for interment rights. Niches and crypts in our mausoleum are also available. Our Family Services professionals will be happy to assist you in all your funeral planning needs, from selecting a space to ordering a monument or marker. 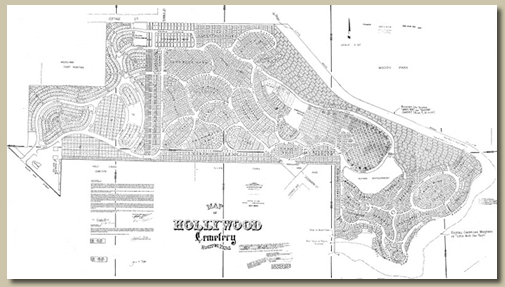 With in-house financing Historic Hollywood Cemetery will make any lot or marker purchase affordable. Historic Hollywood Cemetery maintains a perpetual care fund, which is held in trust by Regions Morgan Keegan Trust as required by Texas law. Perpetual care cemeteries are regulated and examined by the Texas Department of Banking.